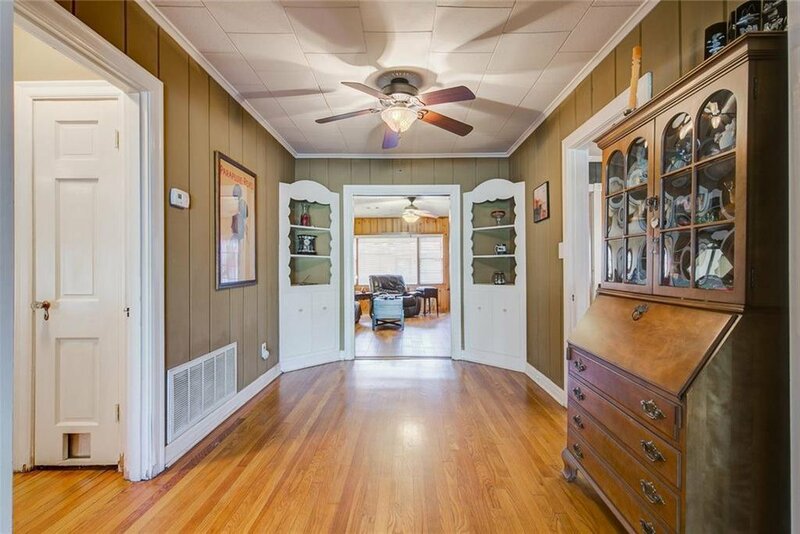 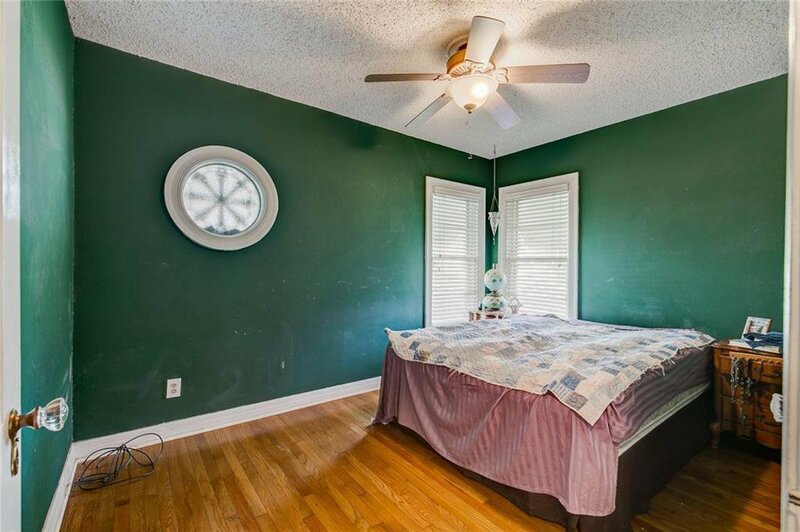 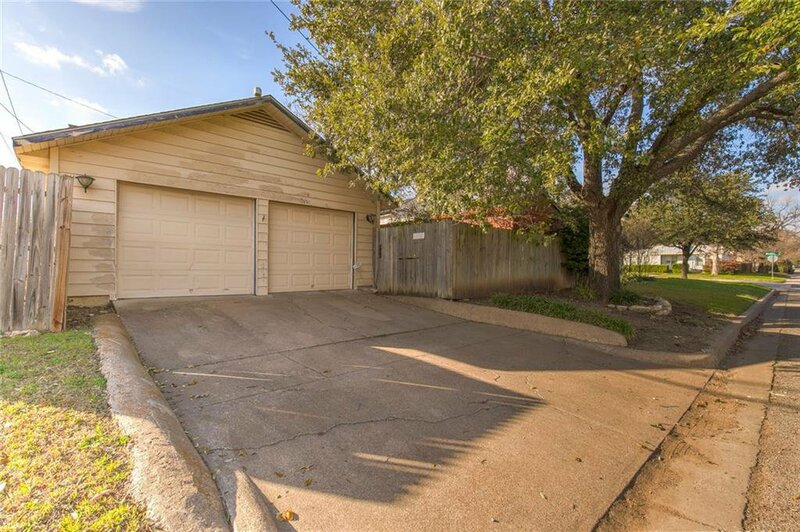 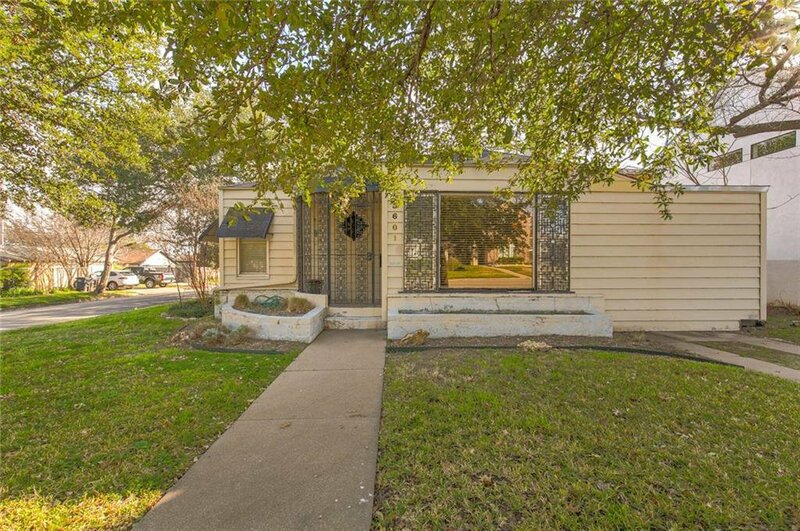 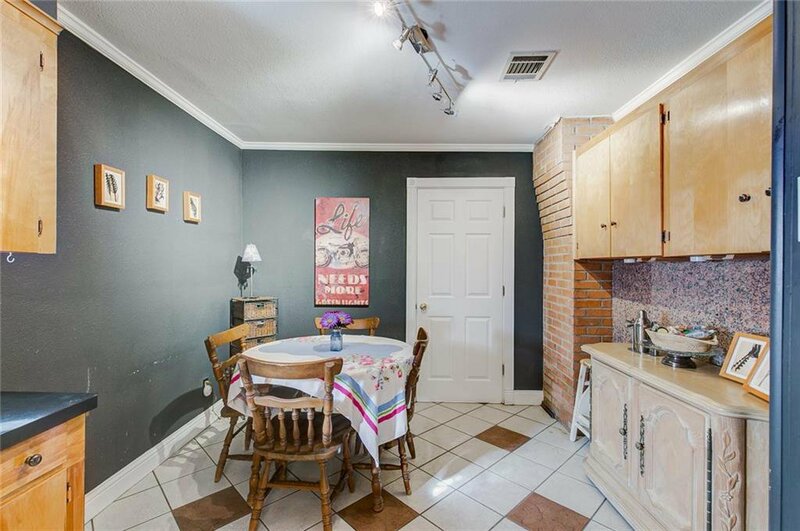 Adorable 2 bed, 2 bath home on large corner lot. 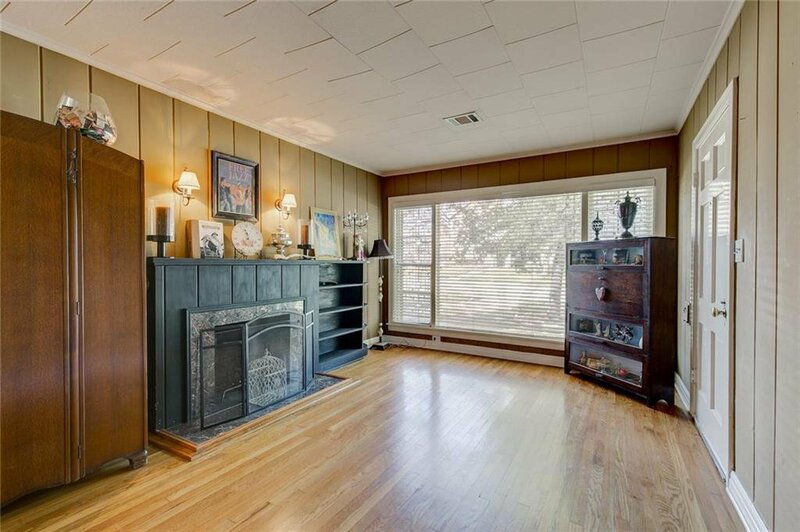 Formal living w large picture window & cozy fireplace, connected to formal dining w built in shelves. 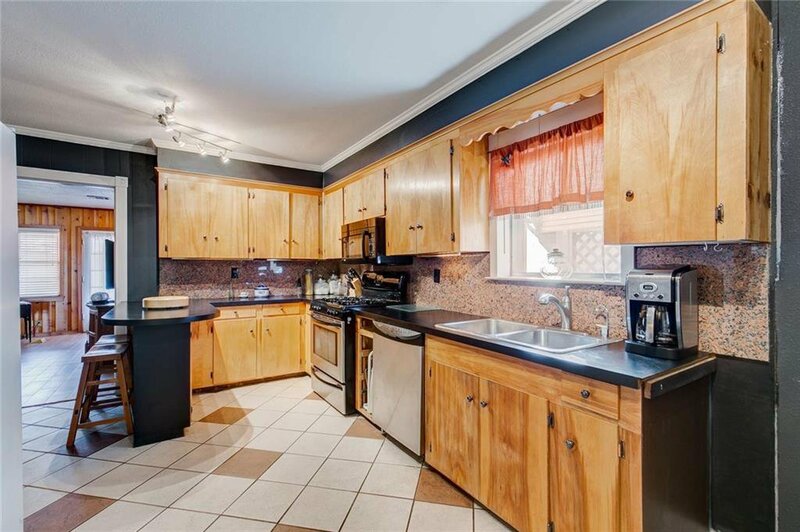 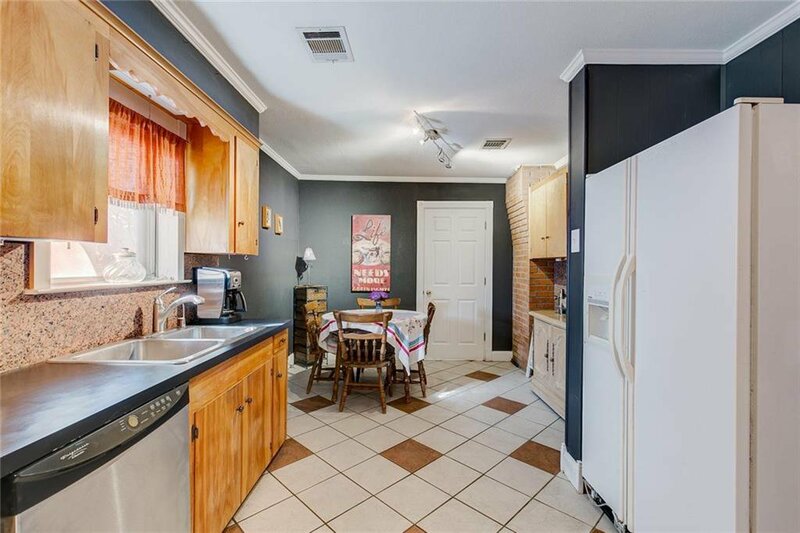 Kitchen w black countertops, stainless appliances, breakfast bar & informal dining area. 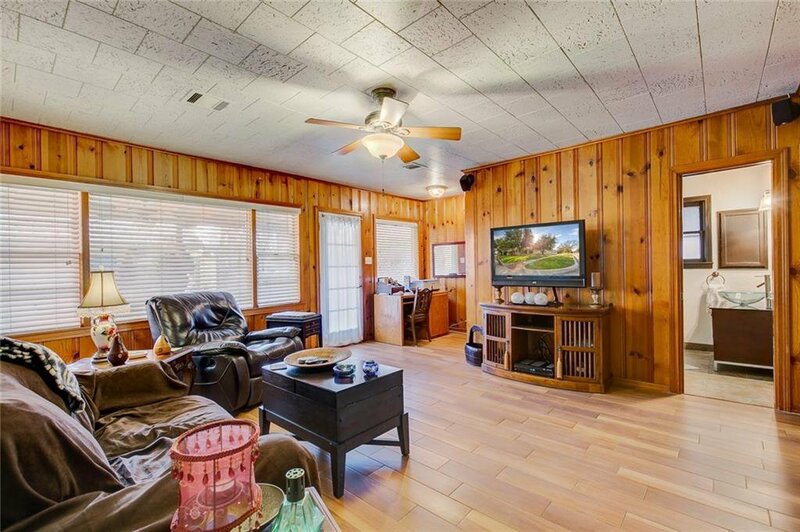 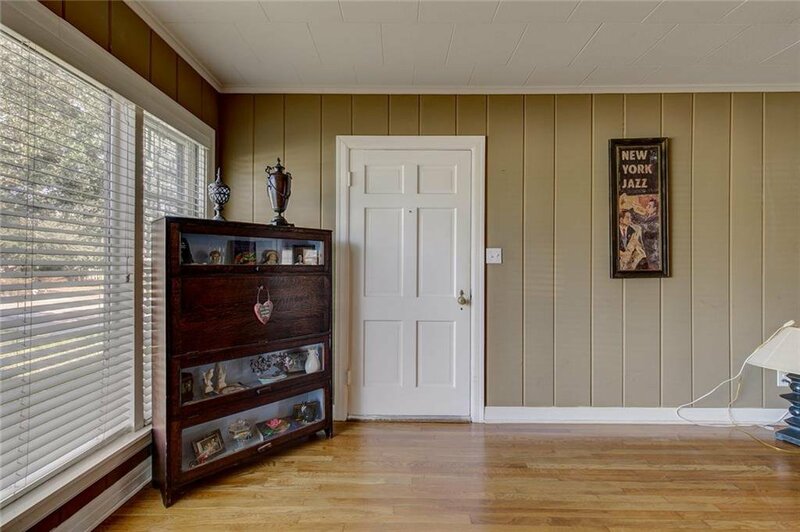 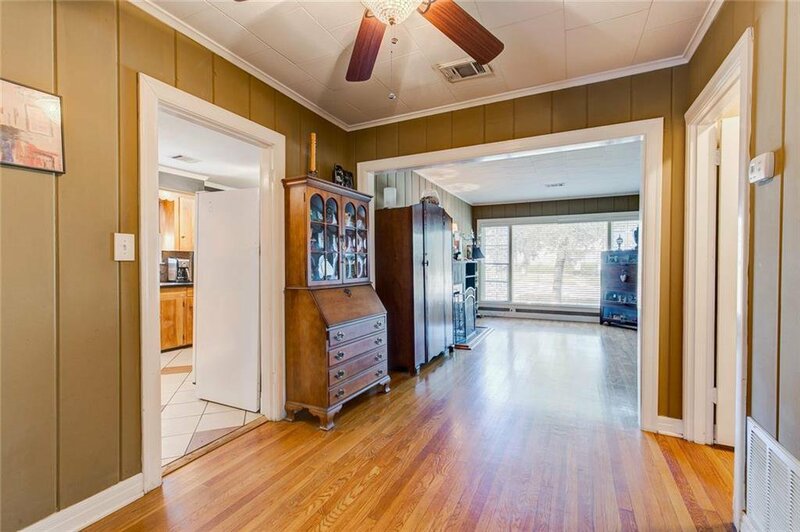 In the back is a large den w beautiful knotty wood paneling, wall of windows, built in shelves & cabinets, some with glass doors & a corner office nook w built in cabinets. 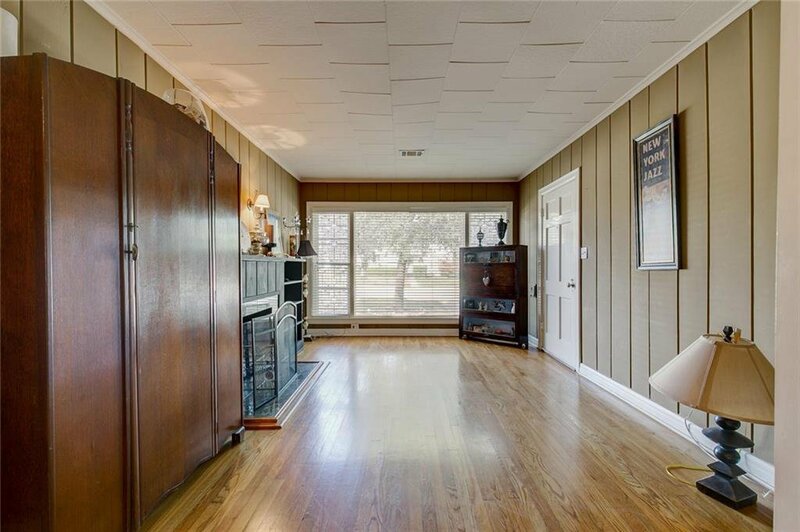 Wood floors throughout except tile in kitchen & baths. 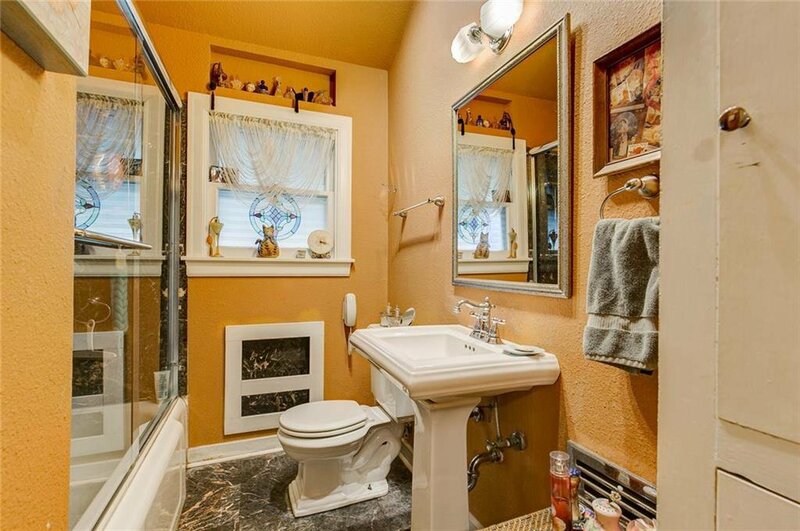 1st bath has custom vanity, glass bowl sink & tiled walk in shower. 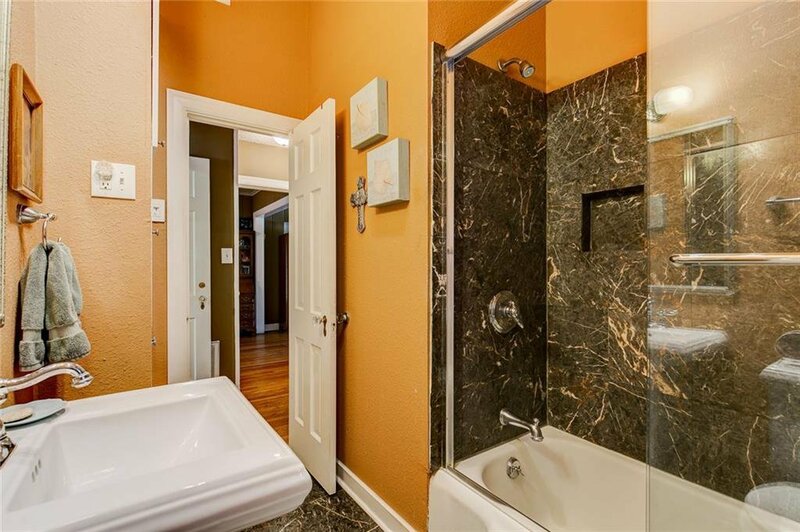 2nd bath has pedestal sink & tub-shower combo w glass doors. 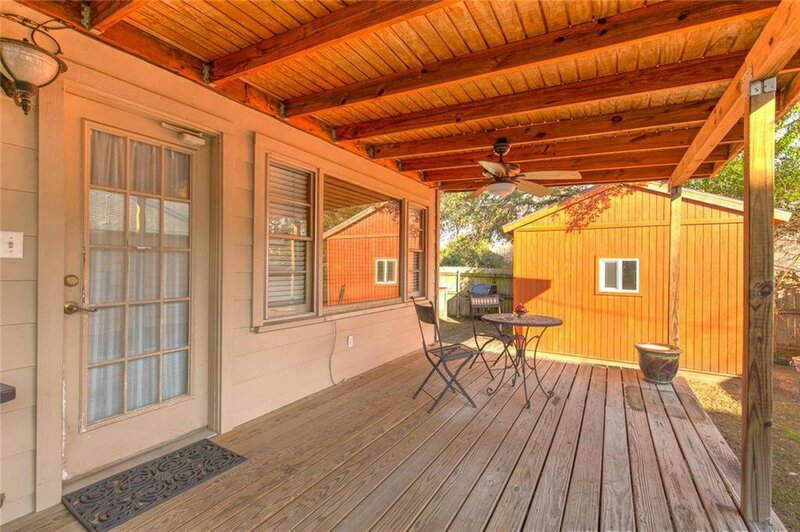 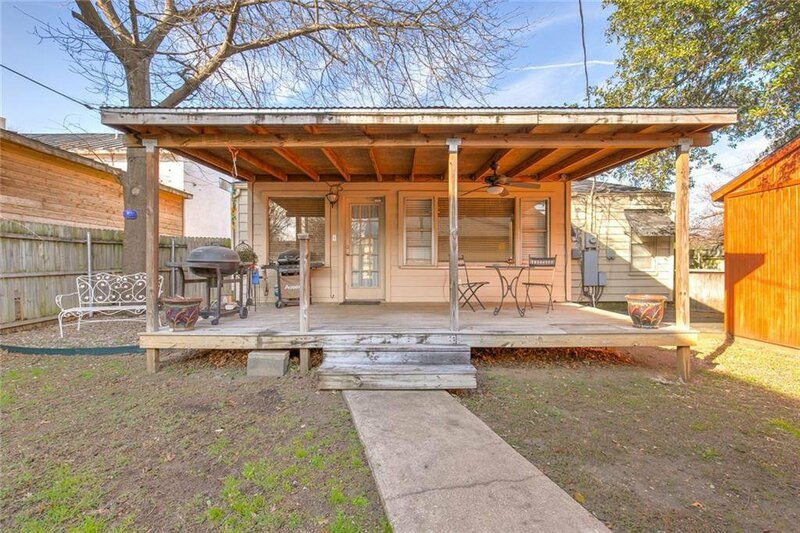 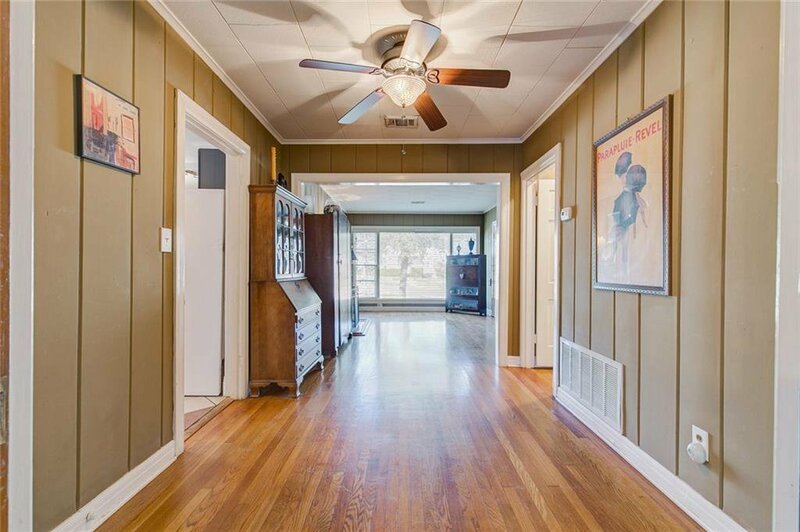 Covered wood deck w ceiling fan, extended wood deck to hot tub house & sidewalk to detached garage.